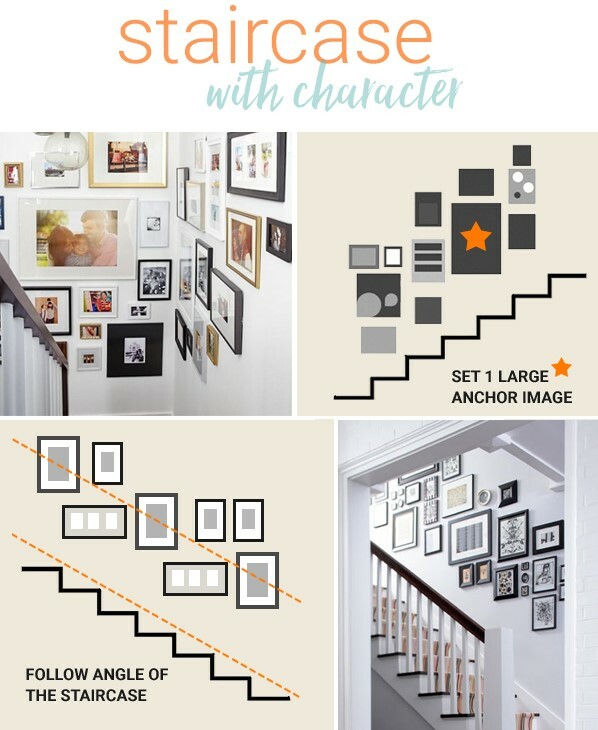 You can add character to a staircase or brighten up a room with a do-it-yourself wall collage – but the seemingly random act of art takes a bit of planning. First, choose a single medium and decide what you want to hang. Either use uniform frames or mix things up, but be consistent with everything. Next, plan your collage on a piece of butcher paper on the floor before hanging it on the wall. Start with the biggest items and work the smaller pieces around it to find the perfect layout balance. Once you’re happy with how things look on the floor, trace the pieces onto the paper, cut them out and tape everything to the wall. * Thanks to “Allen’s Camera” for the use of this article.